This week marked National Lutheran Schools Week in the Lutheran Church-Missouri Synod. 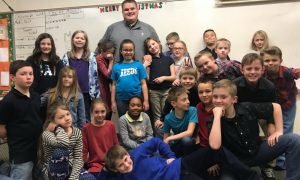 Many CUAA students not only come from the network of LCMS elementary and high schools, but then go on to teach full-time in Lutheran schools, continuing to share the love of Jesus to the next generation. We thank God for the School of Education graduates who are teaching in Lutheran schools and share Jesus’s love with students and their families. In honor of our Lutheran School teachers, the School of Education paid special visits to some of the local Lutheran schools this week. We also heard updates from some of our recent graduates working in Lutheran schools as to where they are teaching and what they love about Lutheran education! SOE proudly celebrates Lutheran Schools week alongside our graduates. Each of the graduates below earned their LCMS Lutheran Teaching Diploma from the CUAA School of Education. We are so proud of the work they do! Check out some updates from our recent graduates below. And, for more highlights about current CUAA students who came from Lutheran schools, check out their stories HERE. Any special words? Thank you, Janel Pittman (cooperating teacher), for teaching me how to show the love of Christ to our students unconditionally. You have taught me more than you can ever imagine. 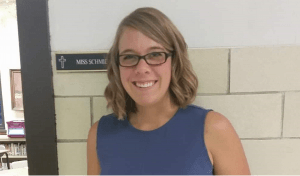 Your favorite thing about being a Lutheran School Teacher: My favorite thing about being a Lutheran School Teacher is the freedom I have to be creative with the way I present the curriculum as well as the ability to share in devotional time with my homeroom students each morning. My faith is a big part of who I am, it is rewarding to be able to share that with my students and watch them grow in their faith. I would like to thank my 5th-grade teacher, Mary VanZandt, for inspiring me to sneak learning into fun. I would also like to thank Professor James Refenes for building my science knowledge and showing me how to teach the scientific processes and skills. Lastly, I would like to thank Professor KBJ for teaching me how to think outside the box and present different material in several different ways. 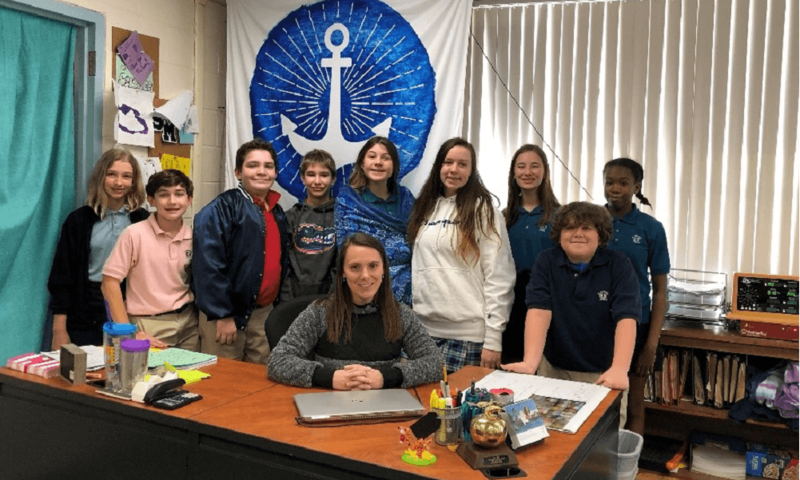 Your favorite thing about being a Lutheran School Teacher: My favorite things (I can’t pick just one) are talking about Jesus with my students, singing with my students, and getting to know these crazy middle schoolers. I want to thank Prof. Chuhran for never hesitating to help me when I needed it, answering all my questions, and for coming to Concordia. I can’t imagine the effect he would have had on my CUAA education if he’d been there for all my 4 years!